I would advise that readers with mental illness and autism tread carefully. This book centers an autistiic character with mental illness in his family who lives in fear that he is or will become mentally ill and has tremendous self loathing around it. His central arc is around recognizing that he isn't mentally ill, he's autistic. I want to think about this one for a bit before I review. Including trigger warnings for now. 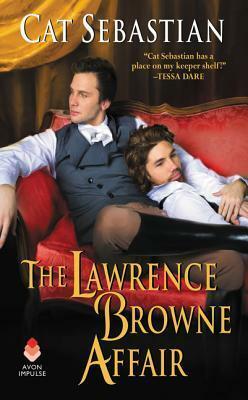 Sign into Goodreads to see if any of your friends have read The Lawrence Browne Affair.